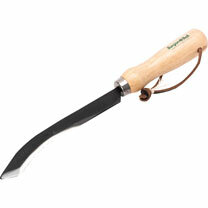 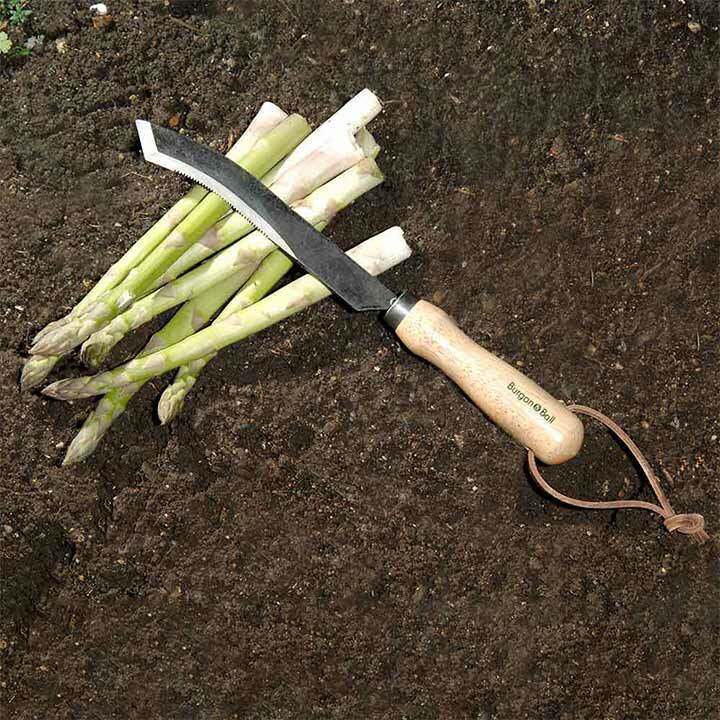 Use this sharp knife specially designed to enable asparagus spears to be easily cut below soil level! Ideal for cutting cabbages and courgettes, trimming leeks, and general kitchen garden and allotment use, with a razor sharp serrated and scalloped stainless steel blade for easy cutting, soft comfort grip handle and slim profile tip for hard to reach places. Length 26.5cm (10½").